The snow has melted, the grass is starting to turn green and farm equipment across the midwest is slowly starting to roll out of hibernation. Spring is here and that means planting season is just around the corner! Are you prepared? Recently I had the opportunity to contribute to this article “Four Areas to Consider in 2015 Planting Prep” by WaterStreet Solutions. I felt it was important to share this information with you. Below are some key points from the article including a link to the full article. What will it take to prepare for a successful 2015 planting season? In my opinion, mindset is very important going into a crop year – it greatly influences success or failure. It will be important to approach the 2015 growing season with discipline, patience and strong belief in the crops potential, despite challenging farm economics. Check that all inputs are ready by going through a series of questions. Please review the list of seed, trait packages, fertilizer, weed, production and yield questions in the full version of the article. Be patient and consider the soil conditions before you start preparing the ground. Remember: By the time you’ve finished planting you’ve already dictated 75% of the yield potential of your crop! That’s how important soil conditions are during planting. In the full article I’ve included a few questions to ask yourself to determine if the soil is optimal for field work to begin. Make sure you do your pre-planting prep work and take time to prepare your mind for the challenges and opportunities that a new growing season presents. 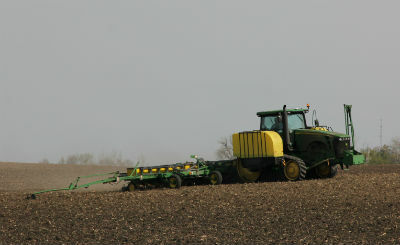 Start by reading the entire pre-planting prep article from WaterStreet Solutions and answering the questions provided. The team at Corn Capital Innovations would be happy to guide you through the pre-planting preparation process, please contact us for more information. How do you prepare for the planting and growing season? Please share your tips in the comments below. Take a look at the picture below of two separate farmer’s soybean fields. 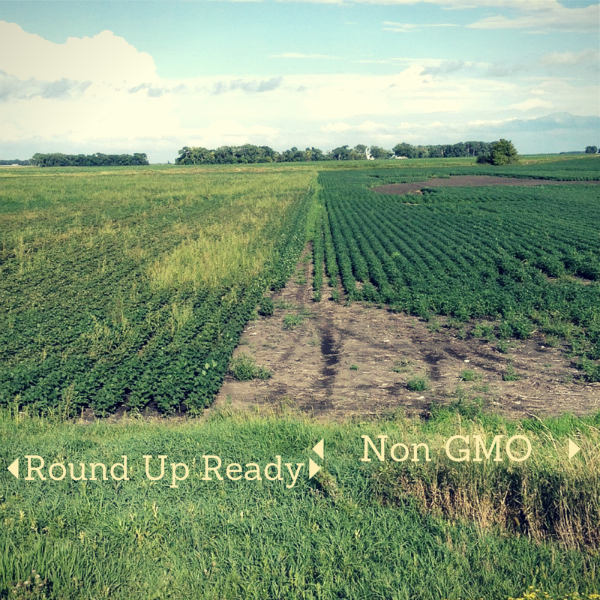 Roundup Ready soybeans were planted on the left and Non GMO soybeans on the right. Do you notice a difference? It’s apparent that nothing will compensate for overall management. Weeds are very heavy on the left, even after being sprayed several times. Although water drowned out some crop on the right, the excess of water should have also allowed for more weeds…but management did not. This is perfect example of management practices vs. traits. Are you getting weary of all the rain? Do you cringe every time you check the rain gauge or watch the local forecast? How is this weather impacting your crop? 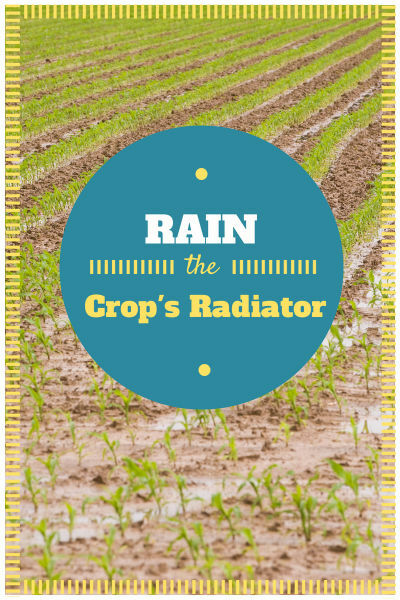 Rainfall is one of the most important crop inputs and is also one that most farmers have little or no control over. But many growers and crop production advisors see the role of rainfall primarily as the moisture supply that keeps plants alive. It is akin to the gasoline in a car. A plant needs water to operate the rest of the system. Unfortunately, the only parts of a corn plant that can protect themselves from the heat is the leaves. That is why corn plants take on an onion-like appearance when both temperatures and evap-transpiration rates are high and rainfall is low. When a corn plan closes the pores in the leaves and curls the leaves inward, exposed leaf surface area is greatly reduced. This conserves water and helps keep the leaves cooler. Rainfall also serves a less known but far greater role than just supplying water to plants. Water is the radiator that cools the engine of the plant, the root system. The plant’s root system is the engine that runs the entire plant factory; unfortunately the roots have no way of protecting themselves when soil temperatures heat up. And as long as the root system is overheating, they no longer have the ability to utilize nutrients efficiently. It’s like the engine of your car overheating… the car eventually stops moving. Rainfall cools the root system so it can once again properly conduct plan functions. In 2010, as well as our current situation in 2014, many farmers across the country had more rainfall than they wanted or needed. But most of those growers don’t realize how important that water is, even in excessive amounts. It cooled root systems and allowed them to regain their ability to perform their proper functions. And growers who knew the effects of cooling root systems, took advantage of getting them back to their normal function by immediately applying nitrogen. Nitrogen is the antibiotic for both stalk rot and drought. That means it is the main ingredient for overall plant health in a grass species like corn. Read this article that discusses agronomic and disease issues for corn and soybean exposed to prolonged periods of high soil moisture. By Jeff Coulter, Extension Corn Agronomist with the U of M.
The number one reason why so much of the crop across the country was negatively affected by either drought or excessive water (more than it should have been) was because there were just too few applications of nitrogen to keep the plant factory running once the motor (the root system) was cooled down. In so many cases the impact of excessive water would have been lessened greatly if that key additional coolant for that radiator would have been added repeatedly. Fields where nitrogen was applied 4-5 time throughout the season yielded up to 80 bushels more per acre vs. those that went untreated. Nitrogen not only allow the plant to stay healthy, it also helps the plant better utilize water for the development of grain. Rainfall keeps plant root systems operative at critical temperature (65-86 degrees); the key to proper function. Until a plant’s root system is operating normally, nothing you or the environment does really matters. Do you feel differently about the rain now…maybe just a little bit? 2013 Yields; Where Are We At? We are seeing more separation in soil stresses from the combine these days and it is varying greatly across the country. Soil stresses will indeed dictate whether you have a positive yield or a negative one. Put that on top of the dry conditions from 2012, when the sub soil was depleted more than we realized, and we can say that 2012 is affecting 2013. The 2 years are interconnected due to the lack of soil recharging. Yet, we still will have a decent crop in our area. It seems most want to “determine that one thing” that was the cause of the yield variations. However, it is never just one thing; it is 20 things that play a factor. There is never just one solution either. 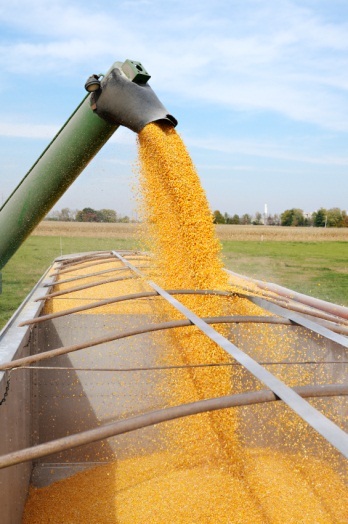 How do we best control variables that dictate yields? By helping understand out of the 20 variables we can control, how do we improve our odds of success with each of those variables by as little as 1%. All of these results in cropping plans that are better suited to the needs of each field, with the ability to maximize opportunity. A plan is essential to “determining the many things” to expect! Plan early, layout your fields and discuss each areas needs at least nine months to a year in advance. We can help you determine all of the factors for a crop plan for 2014 that truly fits your particular needs. Contact us today or leave a message below!